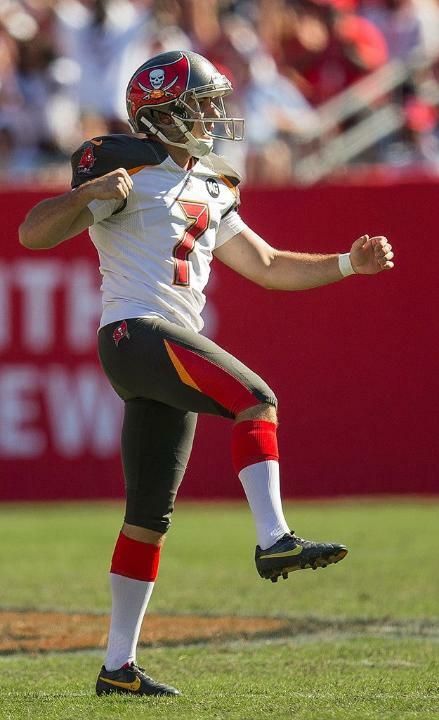 BUCS: Martin 10-27, Rainey 8-25, Glennon 3-13, James 1-0, Herron 1-0. 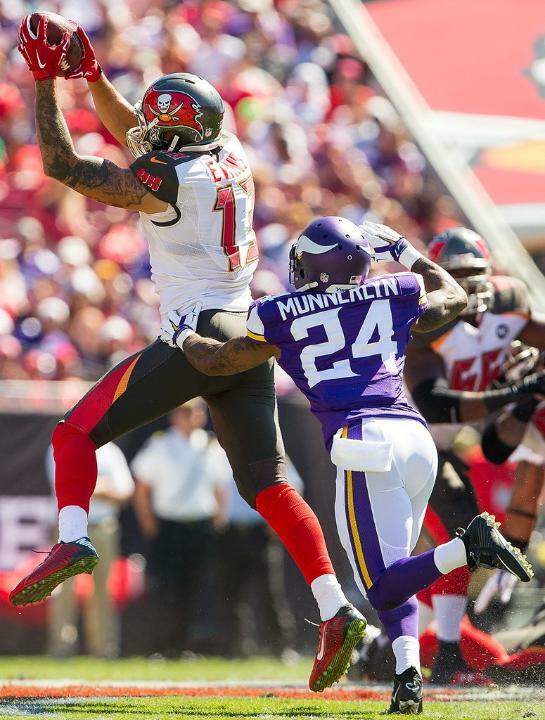 VIKINGS: McKinnon 16-83, Patterson 1-10, Bridgewater 1-3, Asiata 4-1. 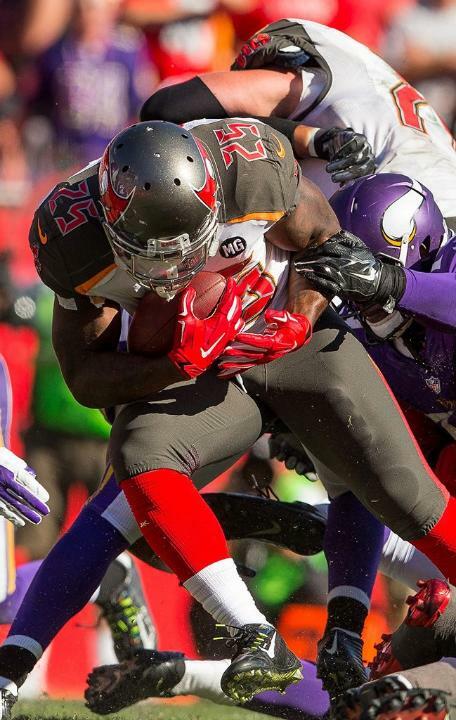 BUCS: Rainey 6-41, Evans 4-78, Seferian-Jenkins 3-26, Murphy 2-11, Martin 2-(-1), Jackson 1-13, Myers 1-3. 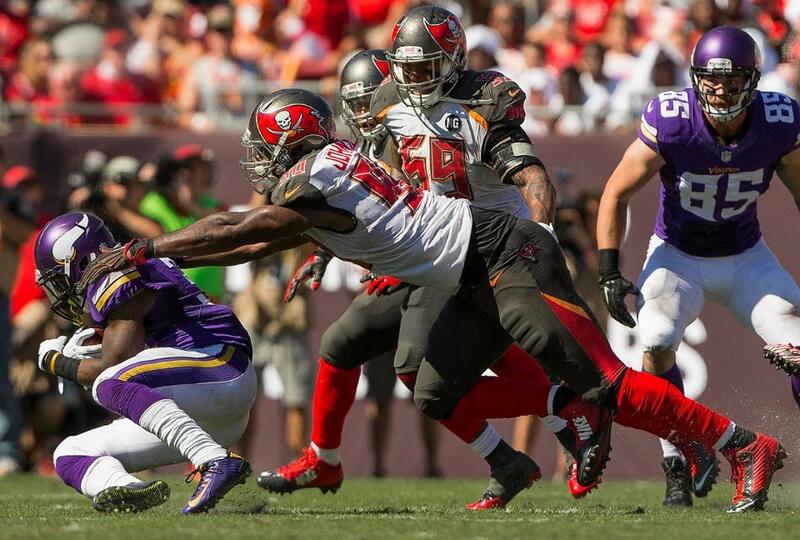 VIKINGS: Patterson 6-86, Ford 6-61, Asiata 4-26, Jennings 3-38, Johnson 2-18, Wright 2-13, McKinnon 1-(-1). 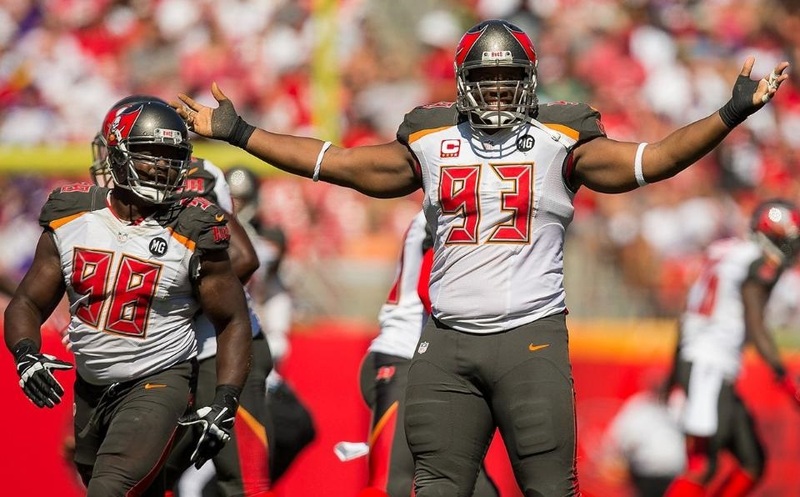 BUCS: McCoy 0.5-3, McDonald 0.5-3. VIKINGS: Griffen 1-5, Johnson 1-4, Robison 1-2, Floyd 1-1, Barr 1-0.